Through very careful accounting they can see that the system consumes, what it produces, what its stores, and what effects it causes. Universal Systems Model: Models can be used to represent systems and their interactions—such as inputs, processes and outputs—and energy and matter flows within systems. Systems are defined by inputs, processes, outputs, and feedback. Processes are activities that happen inside the system. The inputs to a system can be either matter or energy. Processes change these to produce the outputs. Feedback can be matter, energy, or information that flows back from the output and modifies the input. By keeping careful track of these four components, it is possible to understand many technological and natural systems..
Earth is composed of many systems that interact and humans interact with all of them. Whether it is a car, the human body, or our planet, complex systems are composed of many interacting subsystems. By breaking things down into their subsystems it is of ten easier to study and understand their function. 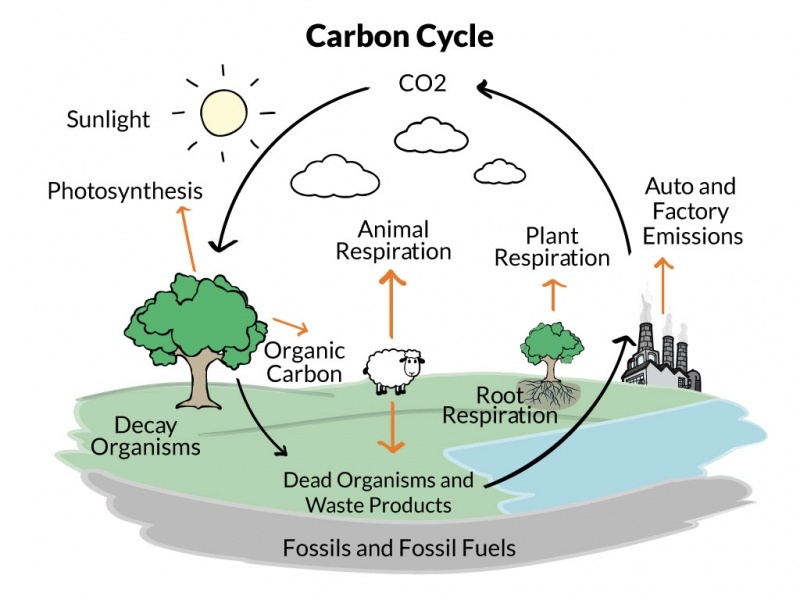 The carbon cycle is complex, and human models of it attempt to simplify it to its most important components. Complex systems are hard to model. Scientists begin with the most important aspects and develop more complex models over time. Models may not be able to include every details about a system, but science has been successful at building very useful ones that make accurate predictions.